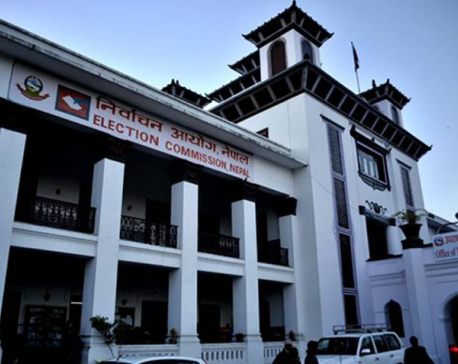 KATHMANDU, July 3: The Election Commission (EC) has now started the process to purchase electronic voting machines (EVMs) for using them in the upcoming provincial and parliamentary elections saying that conducting elections using ballot papers has become too complex and costly. The EC has revived its plan to buy EVMs after its initial bid to buy the machines from a UK-based company ahead of the local elections had to be aborted after it courted serious controversy over the non-transparent deal by Chief Election Commissioner Ayodhee Prasad Yadav. A board meeting of the EC on Saturday took the decision and asked its secretariat to present a report within a week about feasibility of using EVMs in the provincial and general elections. "Immediately after the team submits its report to the board, I will send a team to India. 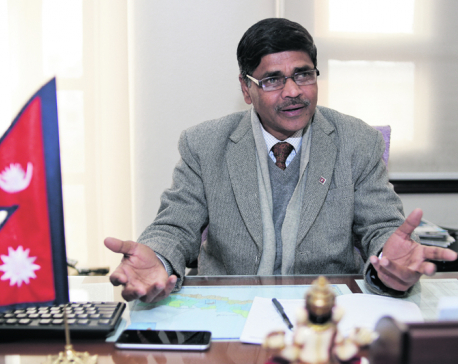 The team will come up with a report on whether the Indian machines are fit for use in Nepal," CEC Yadav told Republica. Election commissioners believed that use of EVMs will help conduct elections efficiently and bring down the election expenses significantly. "Vote counting process has become so lethargic that it takes weeks to announce the results of even a municipality. Millions of rupees is spent just to arrange the ballot papers during each election," said election chief Yadav. CEC Yadav said the EC is for signing a deal directly with the Indian government to purchase the machines if the study team gives its go-ahead. The EC had first used Indian EVMs in Kathmandu's constituency 1 during the Constituency Assembly elections in 2008. As it wasn't challenged by no one, it was used in the by-election held after six months. The Indian government had provided 1200 EVMs to help Nepal in digitizing the election process. In the second CA elections in 2013, the EC was unable to use Indian EVMs as these machines were unable to accommodate large number of political parties contesting in the elections. At that time, Indian-manufactured EVMs could accommodate only up to 64 parties at the most while altogether 122 political parties were registered with the EC. The EC couldn't use Indian EVMs as, in accordance with the election laws, it must accommodate all parties registered with it under the proportional representation electoral system. EC officials said the recently modified Indian machines can accommodate up to 128 political parties, so they can be used in Nepal. Unlike during the previous elections, the number of Nepal's political parties are likely to decrease significantly as the election law has introduced threshold provision for the parties to get national status. Ahead of May local polls, the EC had tried to purchase the machines from a controversial UK-based electronics supply firm Smartmatic but dropped the plan. Election chief Yadav was criticized for quitely initiating negotiations for the procurement of the voting machines from the controversial company allegedly making an clandestine deal with the then Prime Minister Pushpa Kamal Dahal and the company. The election chief had reportedly acted after Dahal's consent. Informed election experts say price of Indian machines is far cheaper than smartmatic EVMs although price of Indian machines has yet to be fixed. CEC Yadav said he is determined to procuring the machines this time for conducting the elections in a well-managed way and to cut election expenses. "Let's the report of the to-be-formed constituency delineation commission come first and have necessary poll laws updated. Then, I will show how all the remaining elections can be conducted efficiently within the deadline," said confident CEC Yadav.